Regardless of the circumstances surrounding your loved one's death, if it was the result of someone else's actions, you have certain rights. Don't accept the first settlement the insurance company offers. Instead, allow our wrongful death lawyer to review the settlement and counsel you on the advantages and disadvantages of accepting it. As a caring and experienced team of lawyers, we look out for the best interests of your family. You never anticipated the death of your loved one. Dealing with shock and heartache sometimes seems too difficult to bear. 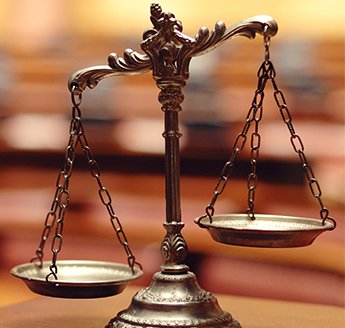 Let our wrongful death lawyer handle any legal concerns you have surrounding the accident. We fight on your behalf so you can heal and recover from your loss. Although we understand that no amount of money can lessen the pain, we fight to obtain the financial compensation and justice you deserve. It is critical that you consult our wrongful death attorneys as soon as your loved one has died due to someone else's actions, whether direct or indirect. Your case must be filed within two years of your loved one's death. If the event happened more than two years ago, it will not be heard in court. These cases involve the carelessness, recklessness, or negligence of another—whether it's a company, entity, or an individual. Our wrongful death lawyers have successfully represented families for more than 19 years. We have experience in handling all types of claims. These could involve vehicular accidents, product defects, workplace accidents, construction accidents, and more. You are in the hands of caring and skilled professionals when you depend on our legal team. Contact our wrongful death lawyer for legal representation to make sure your rights are protected. We proudly serve clients throughout Garland, Mesquite, Rockwall, Richardson, and Balch Springs, as well as the DFW Metroplex.